Stress is defined as “the nonspecific response of the body to any demand for change.” by Hans Stele, one of the first researchers to investigate the subject. Well into the second decade of 21st century, the demand for change seems to be both constant and increasing. Indeed, we tell teams these days that stress is often a euphemism for pain. Today’s teams are increasingly willing to speak about their stress and, fortunately, there are many powerful ways to manage stress. 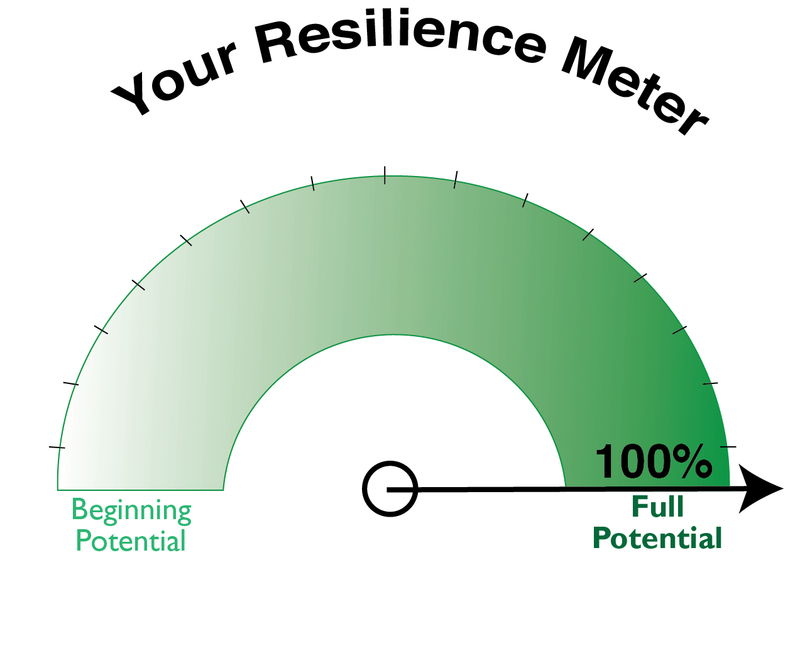 We can help teams respond resiliently to the often irrational demands to “do more with less” by utilizing the early warning system that their emotional self-awareness provides through reading the emotional signals of the situation accurately and responding to them effectively. Team members need to know how to respond to the complexity of observing and learning how each of their fellow team members automatically responds to stress. It is this automatic response that can be so problematic for teams and individuals because it is hardwired in the brain. It automatically cranks into gear when it encounters stimuli in the world that is threatening — the sound of your boss’s voice when she gets “that tone,” the look that means the boss isn’t happy because her expectations have not been met and you are responsible. One of the most enduring ways to build stress tolerance is by building strong relationships among team members. That takes time, effort, flexibility, trust and every so often a dose of forgiveness. As you learn how to respond to each other when under stress, you will become more aware of your own behavior patterns. With that key data in hand, you can start rewiring those patterns. Environmental Awareness. Awareness of one’s physical and social environments is essential. To some extent one’s ability to accurately read what is expected within the social environment actually determines how much stress is experienced. Being conscious of and regulating the emotional pressures in the social environment and the physical tensions in one’s body gives team members the ability to manage stress. This can be done through attentive listening to determine what you, and those around you are feeling, and why. These listening skills are often called emotional self-awareness and empathy respectively. To read them accurately team members need to silence the cognitive chatter in their mind and re-sensitize their awareness to the subtle messages they are constantly receiving. Focusing one’s attention on his/her breath is one of the easiest techniques for doing this. Assertiveness. When team members have accurately sensed what is going on and why, the next step in stress management is to tell the team. For instance, if your boss gave a plum project to a colleague, you might say, “I feel disrespected because you promised that work to me, and then you gave it to someone else.” This kind of a self-disclosure is “taking your emotional pulse in public,” and the more comfortable team members feel in doing this in appropriate circumstances, the better your team will function. Stating one’s own reality provides immediate, accurate information to the team that they can synthesize and respond to right away. It’s efficient. It’s accurate. It takes the guess work out of the equation. One doesn’t have to hope that the team will figure it out, and the team doesn’t have to hope they can read your mind. It’s your responsibility to tell people what you need and want. Of course, self-disclosure is risky business. No wonder it’s so important to spend time building relationships and deepening trust. The other critical factor is functional, adult communication. The stronger your team’s communication skills, the easier it is to be assertive. Coaches and consultants can do wonders in facilitating a shorter learning curve for these skills. Their expertise and objectivity can move a team to a higher level of performance faster than any other strategy. Self-Regard. Self-regard calls for team members to accept themselves, warts and all. The only way people can change their behaviors and work more successfully together as a team is if they feel confident that they are valued by the team. They have to be able to trust that even if they make a mistake, they won’t be punished. When a team member makes a mistake, accountability is appropriate. A mistake is an opportunity to teach and to learn. Both are invaluable. If embarrassment and social rejection are used, instead of teaching and learning, self-regard, creativity and risk-taking all plummet. On high-functioning teams, all members respect and care for the self- regard of each team member. That’s what gives the team a sense of identity and makes the members feel like they want to belong. You know your teammates are looking out for you, and although they may offer constructive feedback about your performance within the team, you know that they would never criticize you publicly. Wellness. Because stress endangers one’s physical health, high-performance teams value wellness and check in regularly with strategies for supporting each other’s physical and mental well-being. This has to be done very elegantly so it does not come across as judgmental. You can be a supportive teammate by your behavior. For instance, if a team member is trying to tackle a weight problem, don’t bring junk food to a meeting. . Flexibility. To be able to bend without breaking in the daily winds of change at work is a critical ingredient of stress tolerance for teams. Strength in a team is well reflected in the old parable about being able to break a bundle of 10 sticks one of the time but finding it impossible to break all of them at once. By knowing each other’s strengths, complementing them and working together, the team achieves its power. However, endurance and flexibility are even more valuable than this kind of strength. Endurance in the workplace can actually best be enhanced by more periods of rest. Many people at work have been running so hard and so long that they are literally exhausted. Chronic exhaustion diminishes the power of the team, because team members lose resilience, creativity and especially stress tolerance! Flexibility comes from stretching muscles just a little bit further each day. It does make the muscles stronger but more importantly, it gives the ability to bend and reach to the full extent of one’s capacity. This is what it takes to be able to adapt to change. This is what it takes to be able to envision new strategies and novel solutions to the problems in the workplace. This is what it takes to be able to adjust to a global marketplace which is fueled by an ongoing explosion of knowledge and unparalleled technological advantage. In such an environment it is essential to be able to bend and not break. Humility. This is probably one of the most powerful ingredients of stress tolerance, but it is also one of the most advanced. Jim Collins pointed out in Good to Great (2001) that humility shows up in great leaders as the ability to attribute successes to the people around them while personally taking responsibility for the failures themselves. The ability to add this ingredient to the recipe for stress tolerance means that a team member has worked diligently to develop a larger, more comprehensive vision of life. That person has learned how to weave together the experiences, relationships and priorities in his/her life to produce whatever is most meaningful and valuable to that individual. Humble team members realize that it is impossible to meet goals without the help of others and that sometimes circumstances will thwart even the best of efforts, but perseverance will produce the best results possible, and that will be enough. We sincerely encourage you practitioners of team wellness to always include (if not start with) some practice in the TESI competency of Stress Tolerance when you are helping your teams relieve the pain of doing more with less in a culture that never considers how much is enough! Positive attitudes on your team will build resilience and influence every dimension of teamwork. Positivity will impact how well people get along with one another, how pleased they are to be on the team, their motivation and their creative thinking. 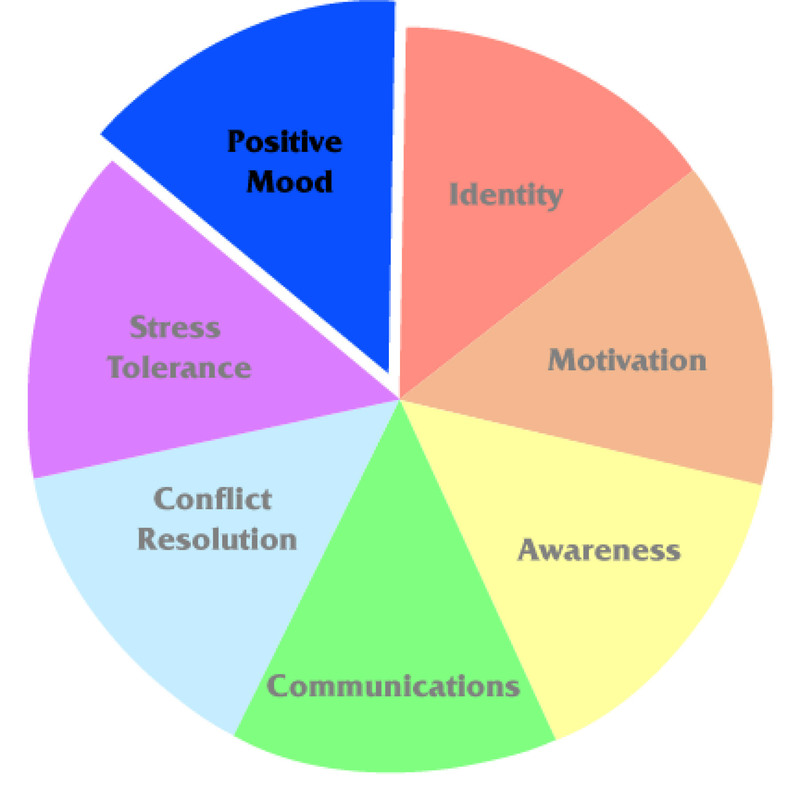 That is why this is one of the seven team competencies the TESI® (Team Emotional and Social Intelligence Survey®) measures. Research Dr. Barbara Fredrickson describes in her books Positivity and Love 2.0 provides the scientific grounding to prove the power of positive engagement. Because most work is accomplished through teams, we are finding a tremendous thirst to better understand what this means for teams and how to assist teams in growing their positive mood. Developing teams is a complex challenge that never stops requiring positive and proactive attention. One of the challenges to team effectiveness is the tendency for people to think and act individually and objectively, that is to focus exclusively on the task rather than each other. Busy team members can become so externally focused on projects and customers that they don’t focus on themselves or on the team. This lack of internal team focus can feel safer for several reasons: 1) addressing interpersonal relationships can seem much less controllable or scientific and less predictable and thus too uncertain; 2) team members may not be trained to be good at team or human dynamics, they enjoy being an expert but they aren’t expert in this situation; 3) their external focus in getting all the jobs done may leave them drained with little energy left for the team, and this is often compounded by highly demanding organizational politics; and 4) the team leader may be a technical expert in his/her production world but likely is not trained to be a team leader and to manage complex interpersonal situations and to build motivation while maintaining accountability; and 5) the full organization may not be aware of the challenges their teams are experiencing nor understand how they could support the team in effective change. This is why your team needs to make conscious, intentional efforts to build its positivity and resilience if you want to maximize productivity. Art Aron, a human relations scientist, conducted research that shows how people move from a sense of separation – me and you – to a sense of being together – us or we. His research was done with couples, but the same principles apply to teams, which are a group of people working together to solve problems. The more overlap the individual team members see between each other, the more likely they will have a sense of “us” and that leads to a series of positive results. The more positive we are with each other, the more overlap we see between ourselves and others and that leads to feeling more openness and connection with others. In turn, this increased connection leads to helpful responses among team members that build trust – team members learn they can rely on considerate and supportive responses from one another. Most people will say they agree with the maxim that “All of us are smarter than one of us.” Understanding the dynamics of positive mood helps show us how to act in order to achieve its powerful effects. Fredrickson writes that positivity broadens one’s view from “me” to “us” and then to “all of us” not just the part of the group that looks or thinks like you. Thus building positive attitudes within your team will expand the effectiveness of your diversity efforts. 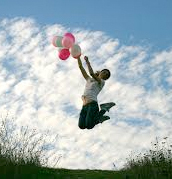 We often talk about emotions being highly contagious and that’s so for positivity, as well as for negativity. This makes it important for team leaders as well as all team members to be intentionally positive. Fredrickson explains that “positivity spreads because people unconsciously mimic emotional gestures and facial expressions of those around you … positivity breeds helpful, compassionate acts.” Furthermore, she points out that when we act positively with others we are likely proud of our engagement and “pride broadens your mindset by igniting your visions about other and larger ways in which you might be helpful.” (Positivity, pp. 69-70) We are certain that’s what you want for your teams. Furthermore, positivity is central to the ability to collaborate which is based on the ability to work jointly with one another, to listen to different perspectives and to find common answers. Collaborative Growth’s team model demonstrates how we bring team emotional and social intelligence competencies together to create collaborative intelligence. Frankly one of the easiest team strengths to build is positive mood so practice this and you will also build your team’s resilience. 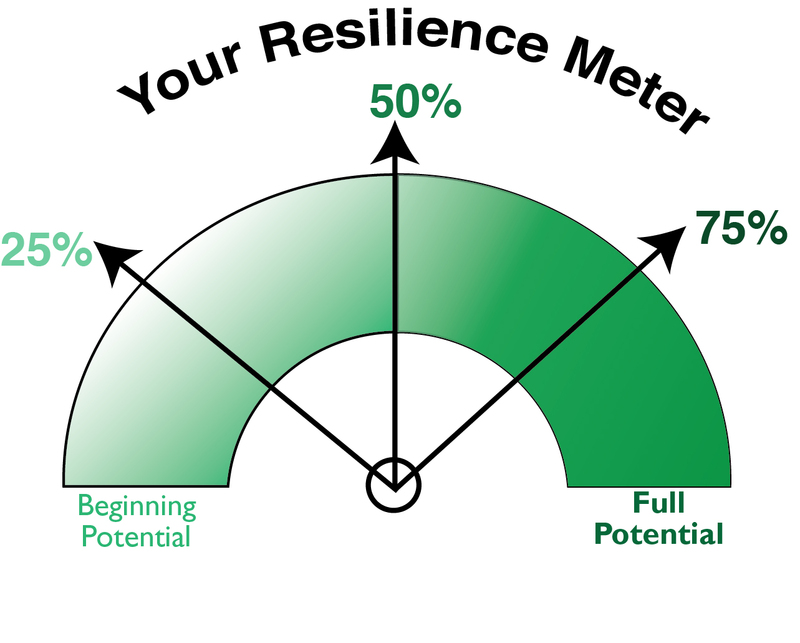 Resilience and positive mood are tightly connected. Resilience includes the ability to bounce back and relies on teams having a reserve to tap into when big challenges hit. That reserve is built by how we treat each other and what we expect of one another. The more positive members of a team are, the deeper the reserve and the less often they are likely to need to tap into it. Positivity builds perspective so teams take challenges in stride rather than making a big deal of them and increasing their stress instead of their resilience. Build the habit of finding people doing something well and publicly thank them. Start team meetings with a discussion of something that’s worked well recently. Then the team can move to strategic analysis and of how to cross map that skill to other requirements. Find purposefulness in the team work so the team feels the sense of being a part of something bigger than itself. A traditional way to do this is with Mission, Vision and Values statements. Make sure those statements are meaningful and that the team feels ownership and takes pride in them or they won’t help. Support team members in taking time to be relaxed with each other so caring relationships are built resulting in the natural desire to shield each other’s back when needed. Recognize that positivity and trust go hand in hand because positivity supports deepening relationships. Develop positivity deliberately and expansively for the benefit of all individuals, teams and the organization.